The Loreto school in Ballarat was the first in Australia, established by Mother Gonzaga Barry and her community of sisters in 1875 following an invitation from the Bishop of Ballarat to establish a school for girls. In earlier times the order was semi-enclosed, which required limited outside contact, so the sisters commissioned a boundary wall for privacy. Built in an English Gothic style with French influence, the Loreto Chapel, or Children’s Chapel as it was known, was built between 1898 and 1902; designed by architect William Tappin and built by George Lorimer. The stone is Barrabool Hills sandstone from the Geelong region, with white Oamaru, (New Zealand) stone detailing. 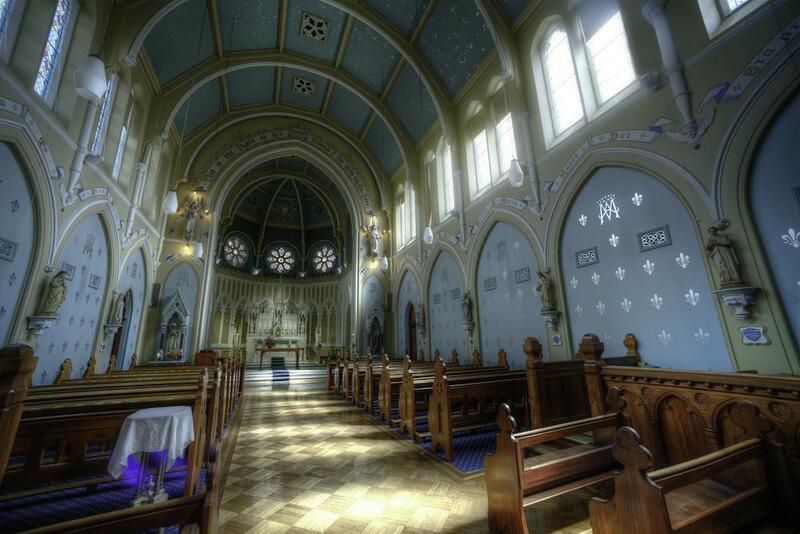 The interior is decorated in soft pastels, with artwork and statuary donated by Ballarat and Irish families. The Rose Window over the Organ Gallery depicts St. Cecilia, patron saint of music, surrounded by symbols of the four Evangelists, Matthew, Mark, Luke and John. The windows over the altar depict the instruments of the Passion of Christ, and the marble altar features the Nativity scene. The Loreto College Archive is the repository of the corporate memory of the College since opening its doors to students on this site in 1875. Tour Details: Loreto Chapel is open for self guided tours, and guided tours are available for the Loreto Archives Centre. No booking required. Just turn up on the day.